Knowband offers Prestashop Category Product Display Order module which sorts out the products of your eCommerce site as per the requirement. Customize the category and sub-categories of your site and enhance your customer engagement. The Prestashop eCommerce store admin can analyze the behavior of their store visitors and change the default display settings of the category pages accordingly. Prestashop Category Product Display Order module narrows the inventory of the web store as per the requirement of the customers and aids their purchase intentions. There are ample sorting options to choose from. The admin can improve the user experience by reducing their time consumed in searching and shuffling the category pages. The Prestashop eCommerce store admin can select the web pages where he wants to sort the products. This can be either done on the entire website or on a particular product. Moreover, different sorting can be done on the different categories of product. The customization option is easy to understand and implement. Thus, the store merchants can use the module without any technical assistance. 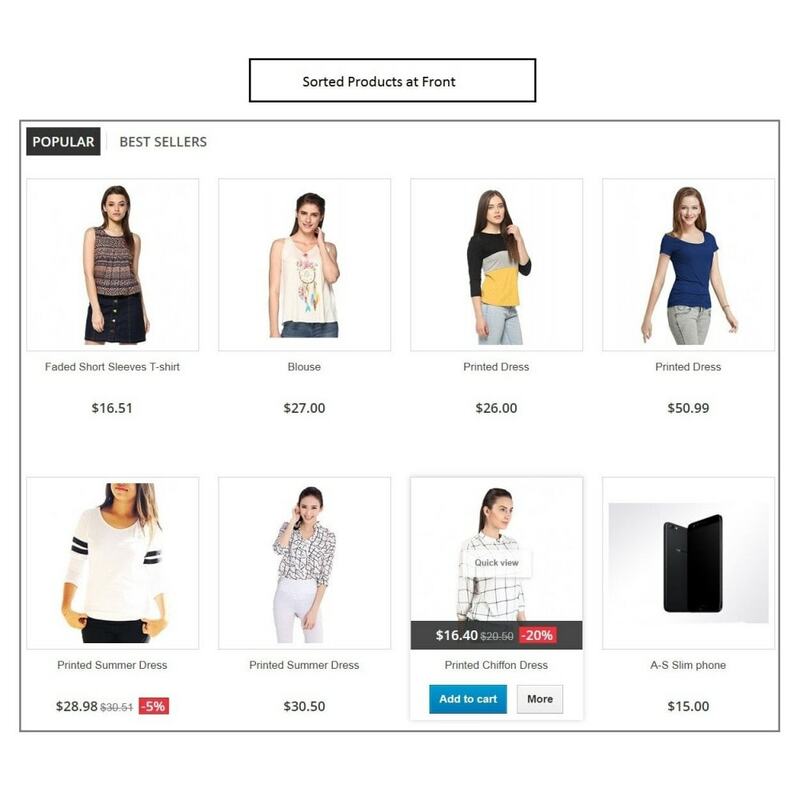 Product Sorting: Prestashop Category Product Sorting extension allows the e-merchants to change the order of the product display by Price, Product ID or Name, Date when it was added or updated. The Prestashop eCommerce store admin can even set the position of each product manually. Ascending/Descending Order: The sorting can be either in ascending or descending order as per the need of the admin. This way the different display order can be set for different category and sub-categories. Preview Option: The Prestashop eCommerce store admin gets an option to cross verify the sorting before it is incorporated in the front-end of the website. The changes can be previewed in the back-end of the admin interface. Versatility: The addon is compatible with the latest version as well as with all the themes of Prestashop. The addon is even SSL compatible. Select the Category: The admin can select the category in which he wants to change the sorting option. The changes will be incorporated into the entire category selected. 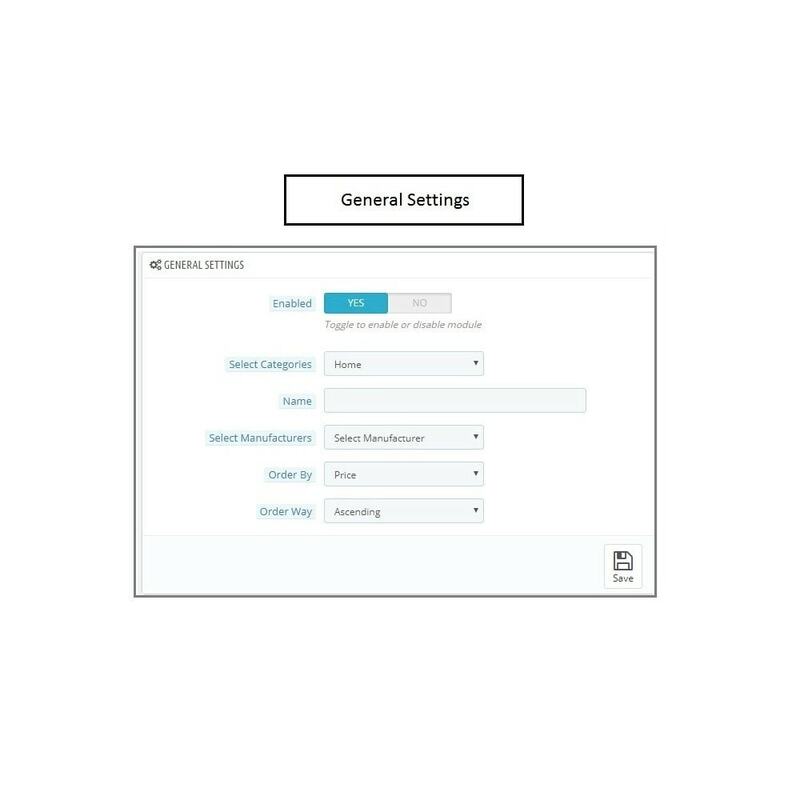 Select Product Name: The display options can even be applied to any particular name. The admin can manually enter the name in the backend. Select the Manufacturer: The admin can even choose the manufacturers for which they are looking to apply the sorting. 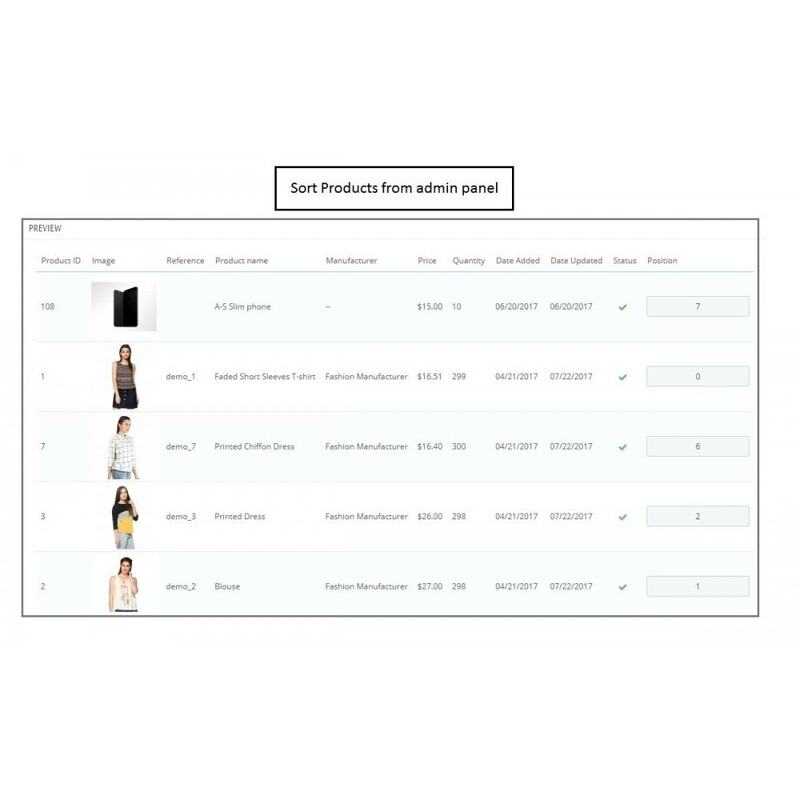 The product order display module makes it easier for the customers to view the products in a systematic way. The sorted display allows them to find out their desired products and make their purchase decision. The Prestashop Category Sorting add-on coupled with the sorting option of the website category narrows down the ample options and reduces the time consumed by the customers in choosing the desired product. The Prestashop Category Product Order plugin provides a better user experience.